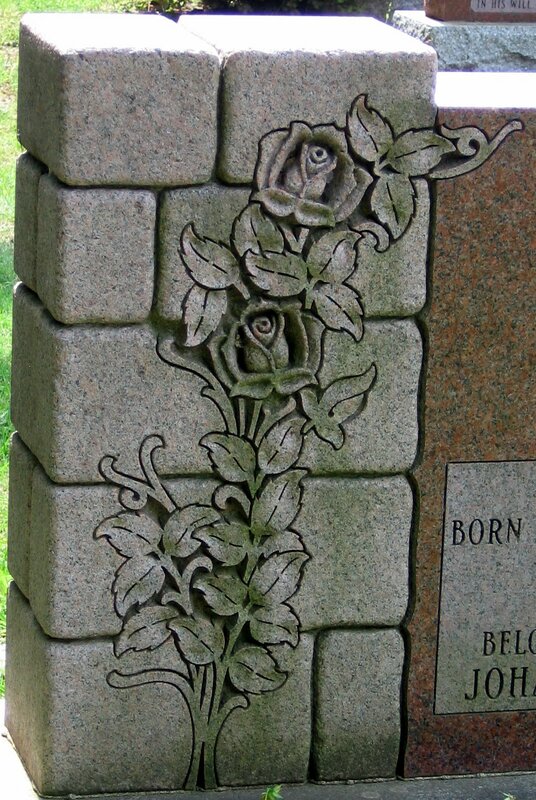 Flowers in a cemetery are a common sight, and they are also a common engraving on gravestones, in particular, the rose. 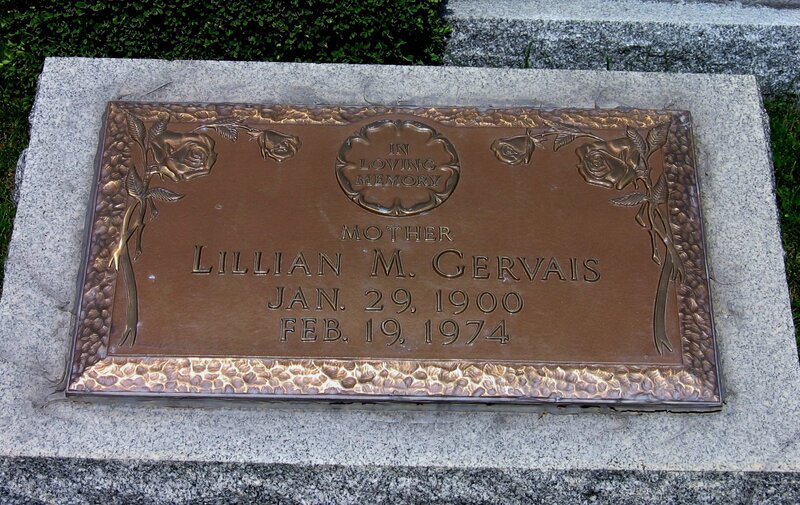 The rose represents love and purity and the brevity of life on earth. Life like a blooming flower is never meant to be permanent. 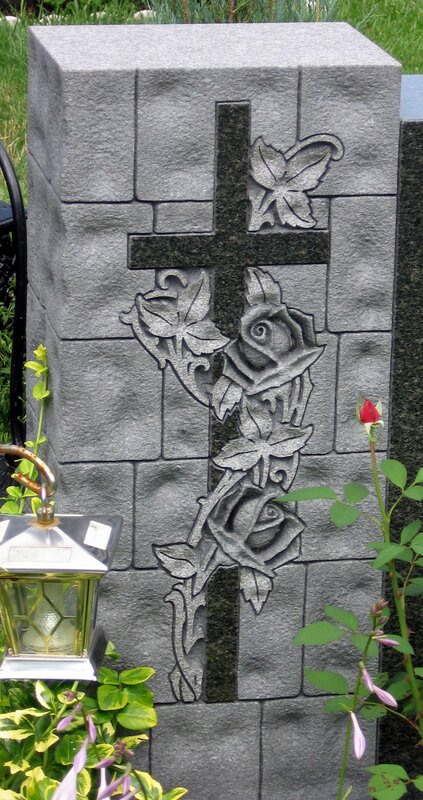 The development stage of a rose indicates how old the deceased was at time of death. 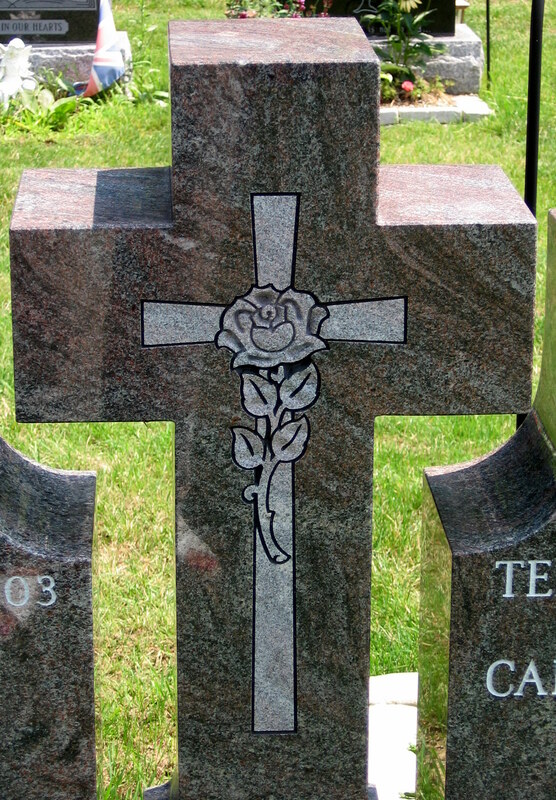 A bud is usually a child 12 or under; a partial bloom represents a teenager; and if it is in full bloom, the deceased died in the prime of life. 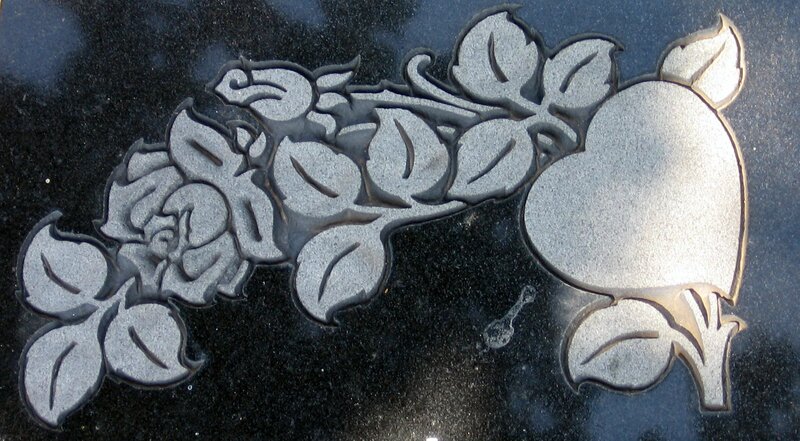 Another symbol of the death of a young person is a broken rosebud. 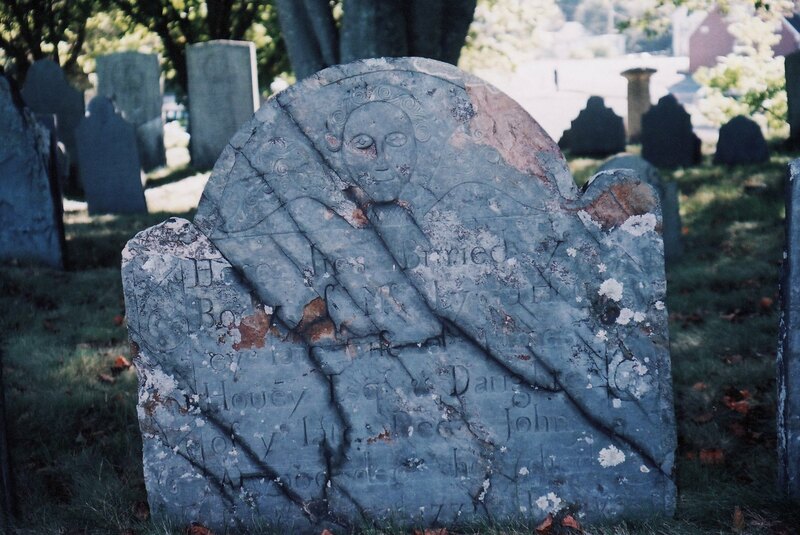 It symbolizes that life was cut short. 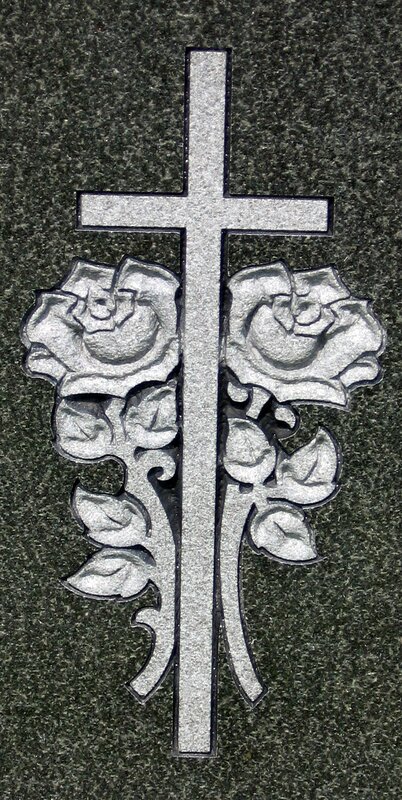 A strong bond between two people (e.g., mother and child who died at the same time) is represented by two rosebuds joined. Several rosebuds on the same branch signifies secrecy. 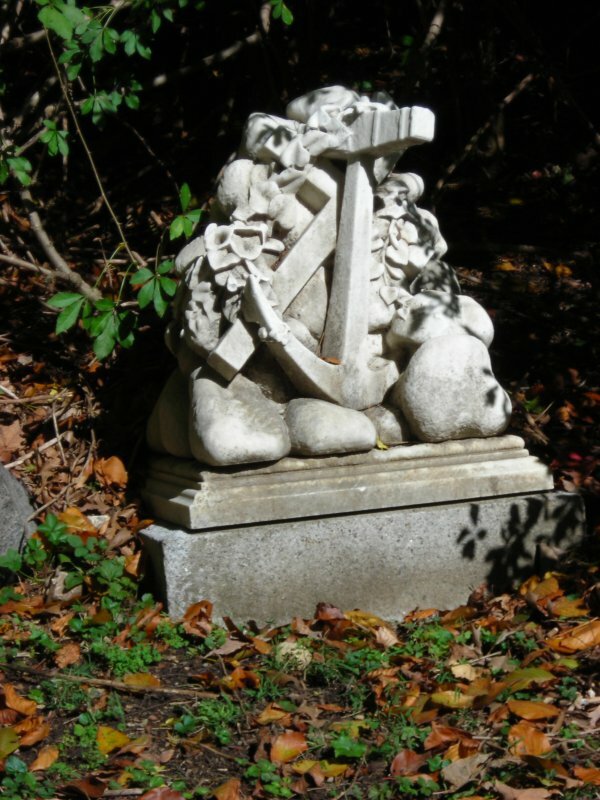 A rose and a poppy signify eternal sleep. 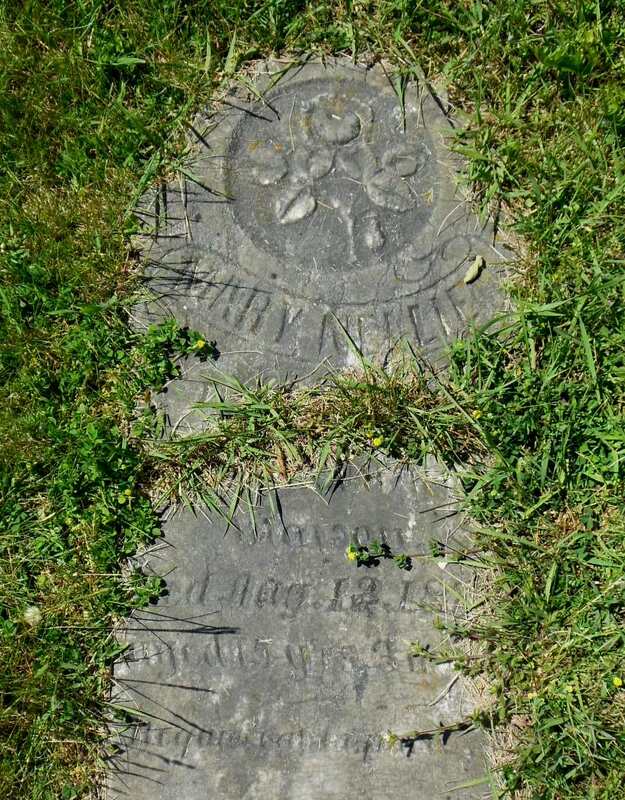 In death, the colour of the rose is significant although this is not something present in a cemetery. 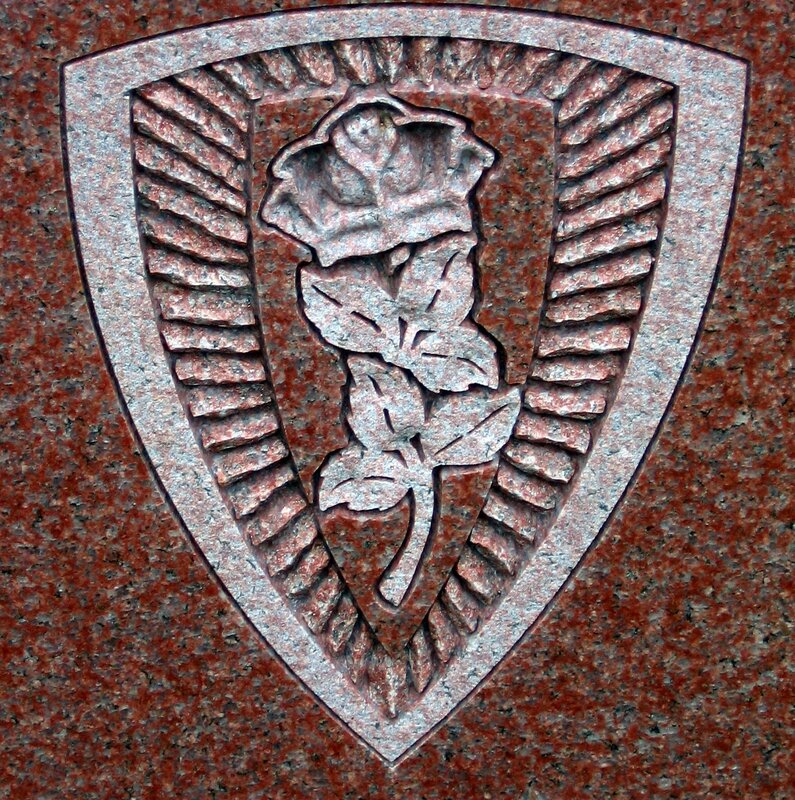 A red rose represents martyrdom a Tudor rose is beauty, and a white rose symbolizes purity. 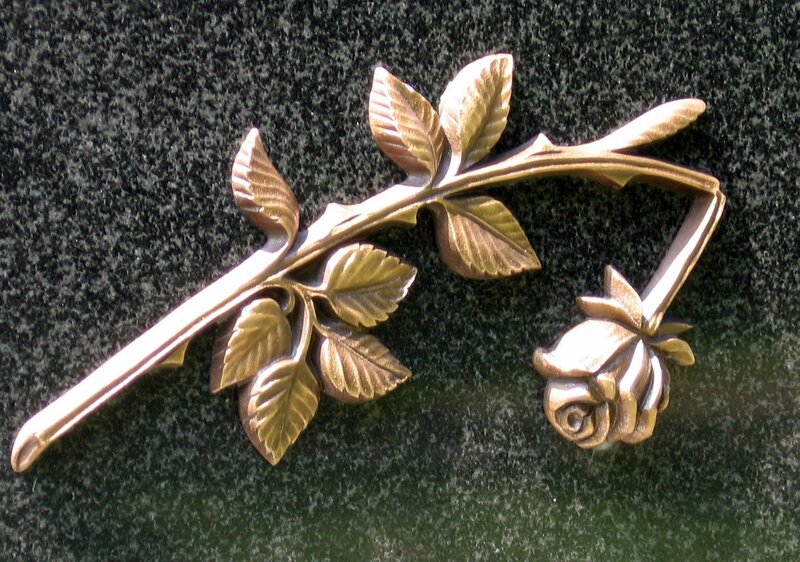 A wreath of roses can represent beauty or that the deceased was innocent and sinless. The following verse is popular in funeral prayer cards. Sheltered beside a garden wall. 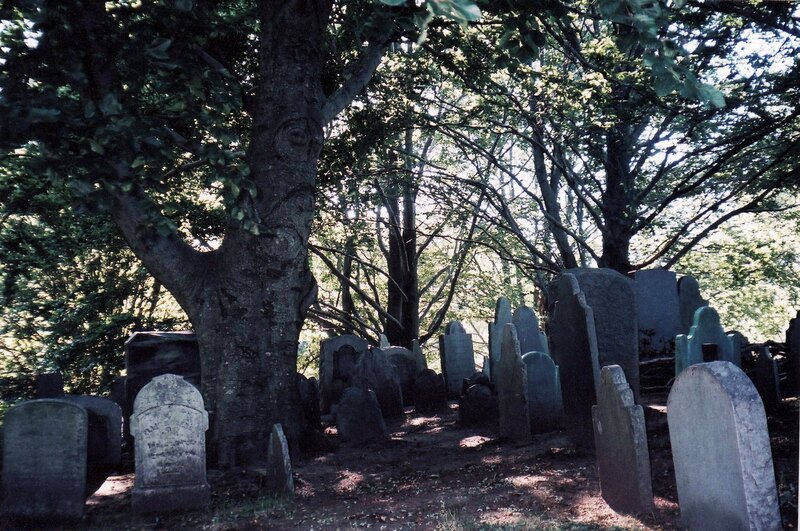 It spread its branches, straight and tall. Then passed beyond to the other side. Nurtured by God’s own loving care. 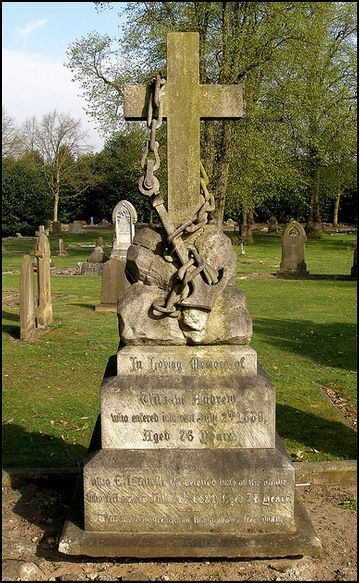 This gravestone is located in the Newington Cemetery, Edinburgh, Scotland. 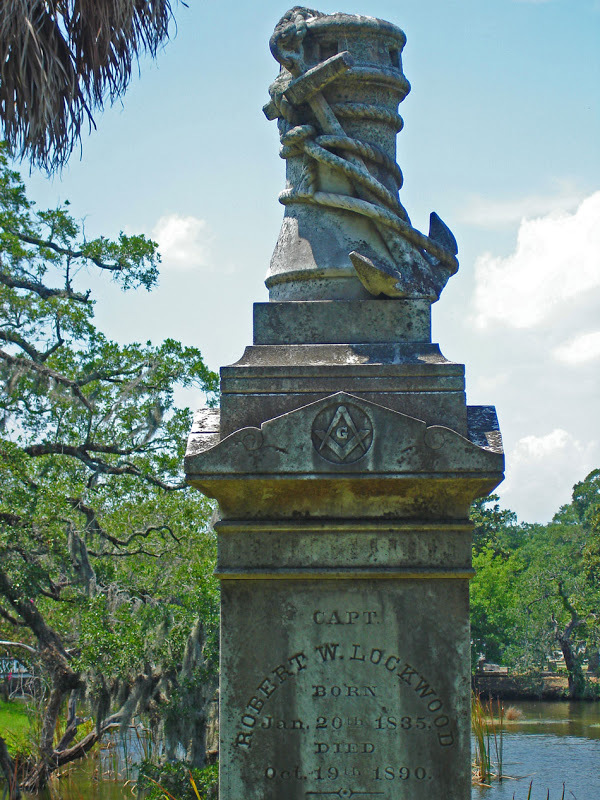 John Ross belonged to the United Presbyterian Church which was famous for its missions. 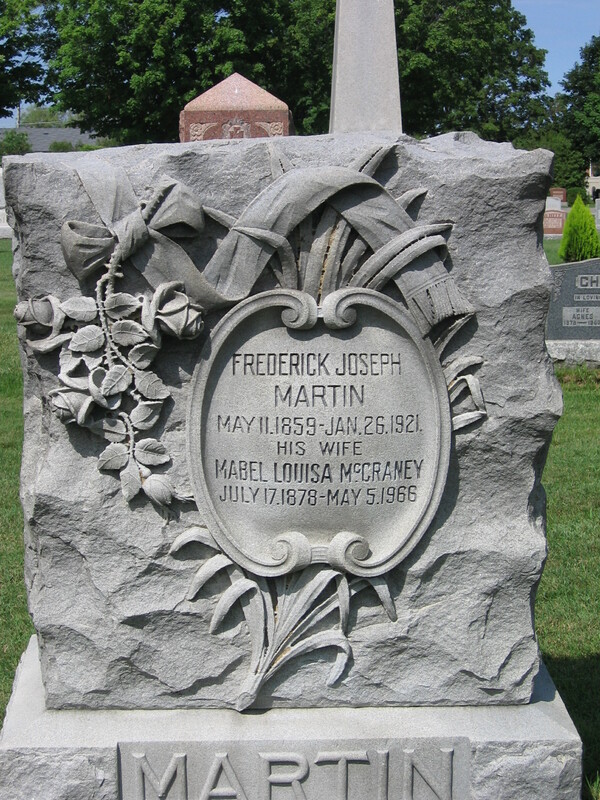 As soon as he was ordained as a minister in 1872 he married M. A. Stewart and they departed for China. 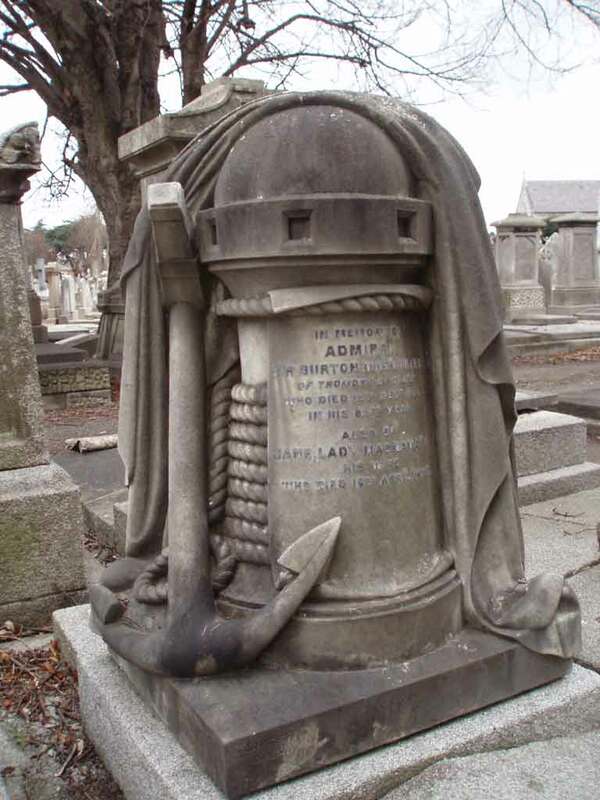 His wife died the following year giving birth to their first child, a son named Drummond. 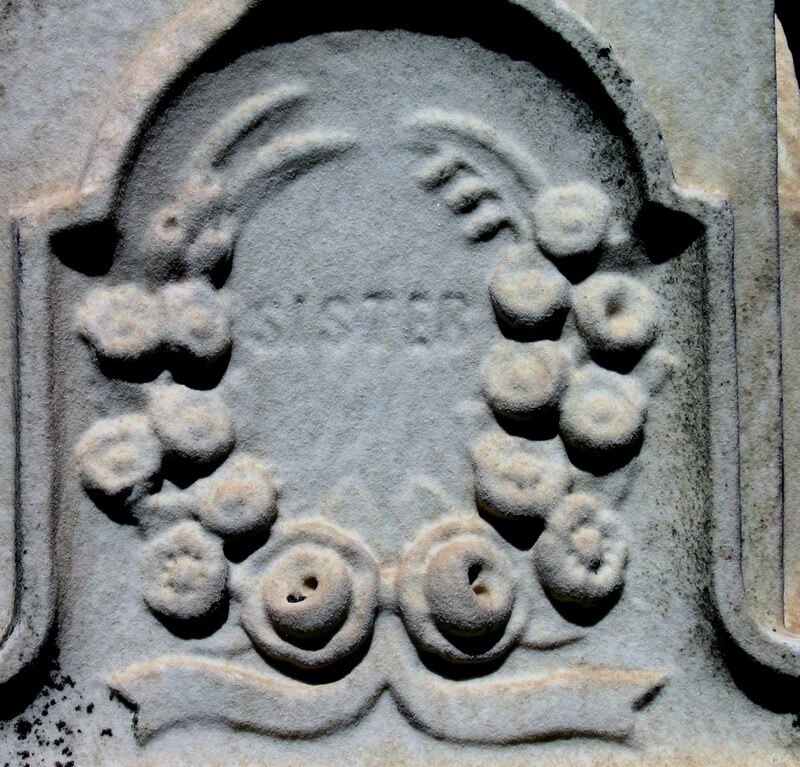 In 1876, he married Catherine, a sister of one of his fellow missionaries. 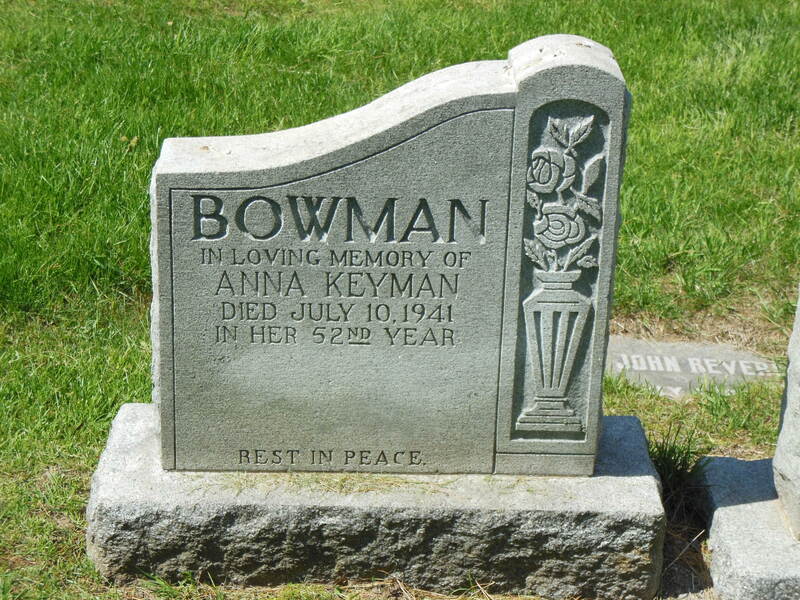 He lived in China for 40 years as a missionary in Manchuria and Korea. His study of linguistics gave him an understanding of 11 languages. 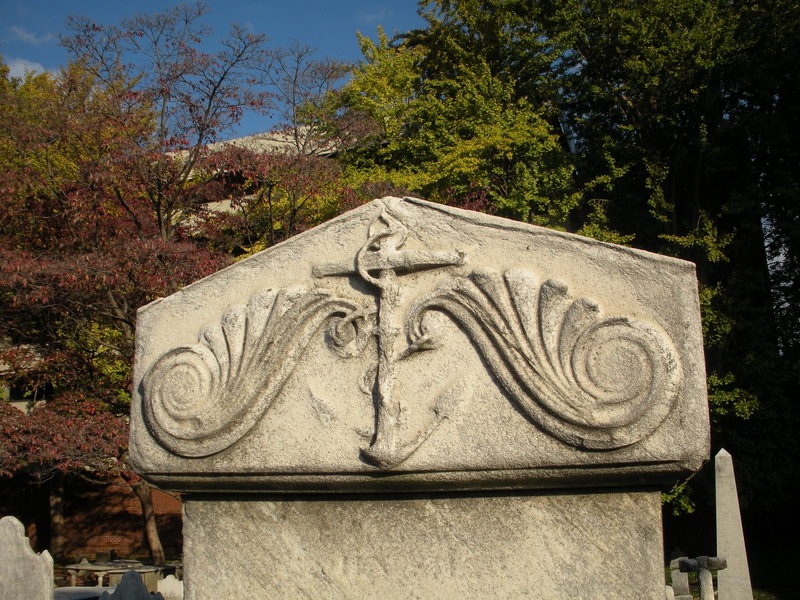 He began translating the New Testament into Korean, a project that took 10 years to complete, and which led to the spread of Christianity in Korea. Throughout his lifetime he wrote several books on the subject of missionary work in Manchuria. 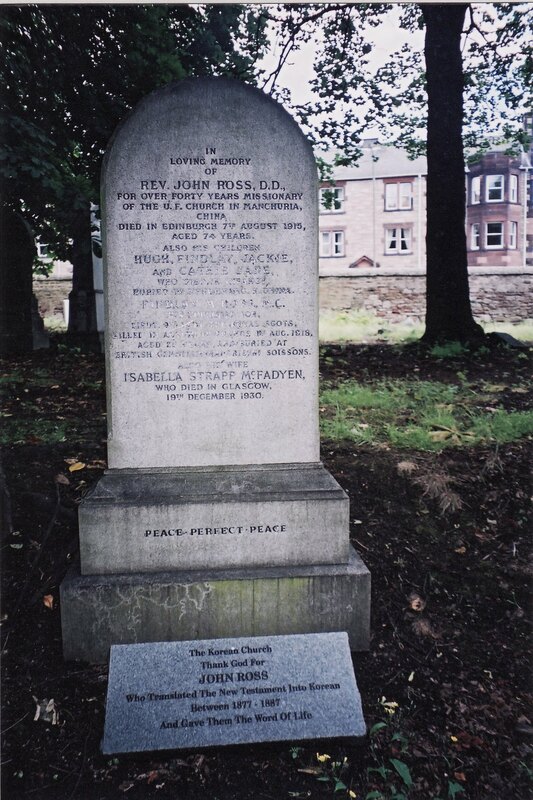 He returned to Edinburgh, Scotland in 1910 due to ill health. 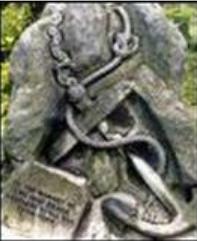 The Scottish Bible Society designed this gravestone and arranged for it to be made in Korea then shipped to Scotland. 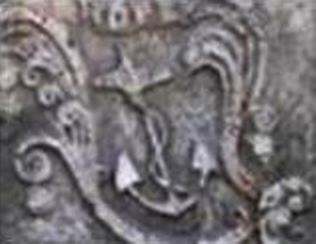 It is engraved in both English and Korean. Rev. 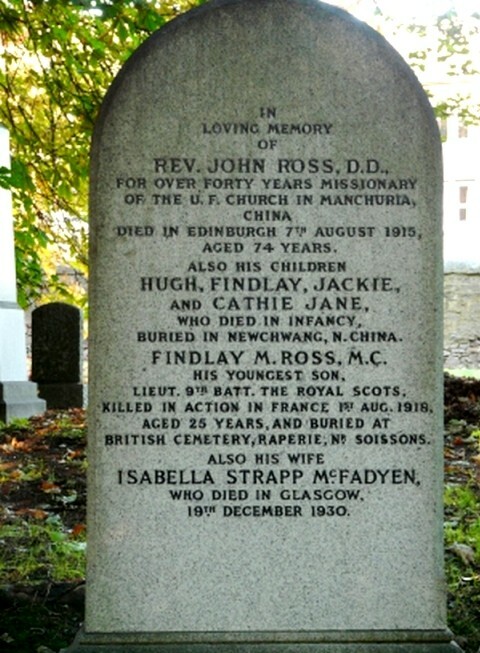 John Ross D. D.
Buried in Newchwang, N. China. 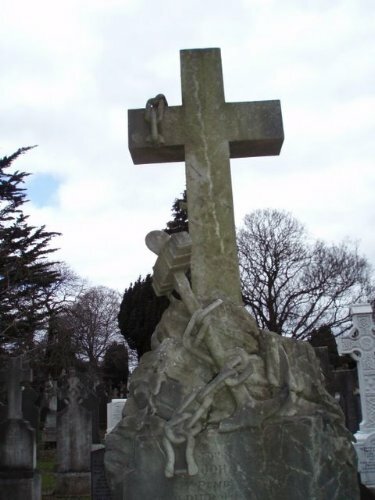 Findlay M. Ross M. C.
British Cemetery, Raperie, Nr. 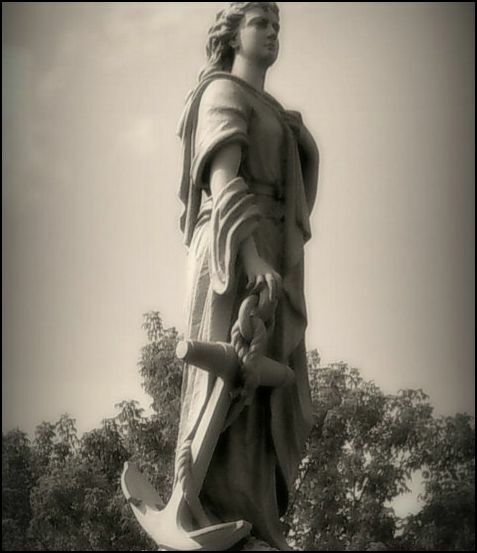 Soissons. 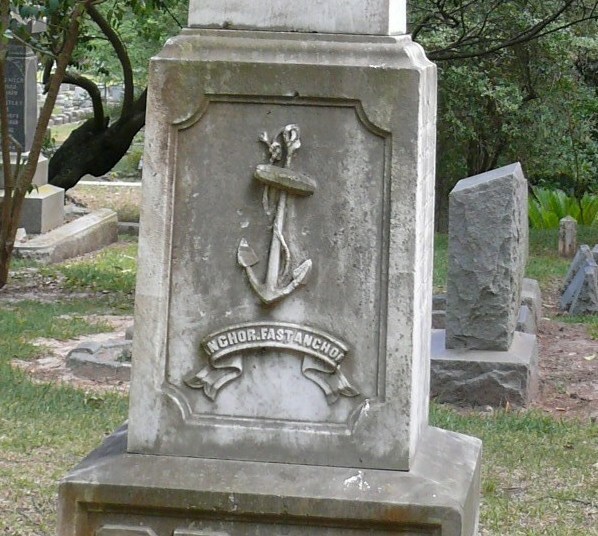 When we think of an anchor we think of the sea and sailors, and this symbol signifying hope and steadfastness is often found on the graves of sailors. 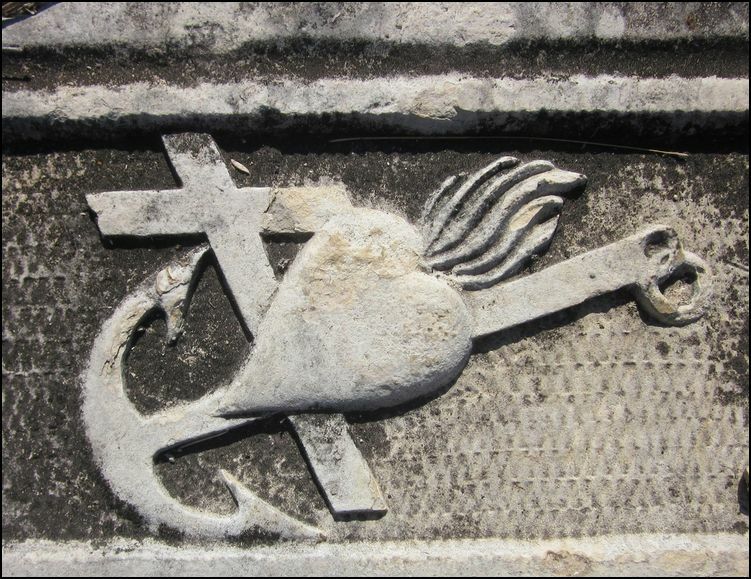 On Christian graves, the anchor represents Christ and also St. Clement who was bound to an anchor and dropped into the sea. 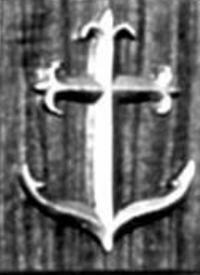 Early Christians used the anchor as a disguised cross and marker to guide one another to secret worship places. 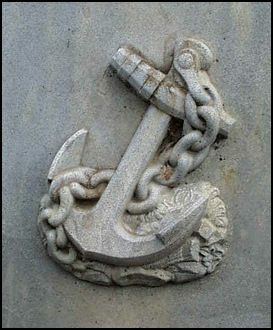 The symbol of an anchor wrapped in vines represents a firm Christian faith. 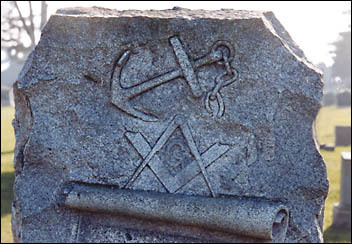 Anchors may also be found on the graves of Masons as they are a Masonic symbol for hope. 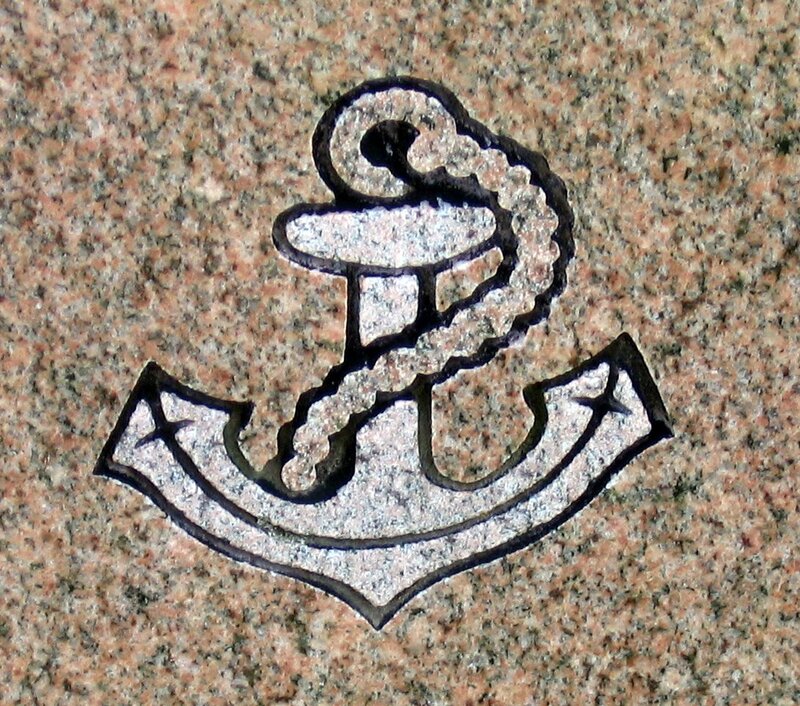 An anchor with a broken chain is symbolic of the cessation of life. 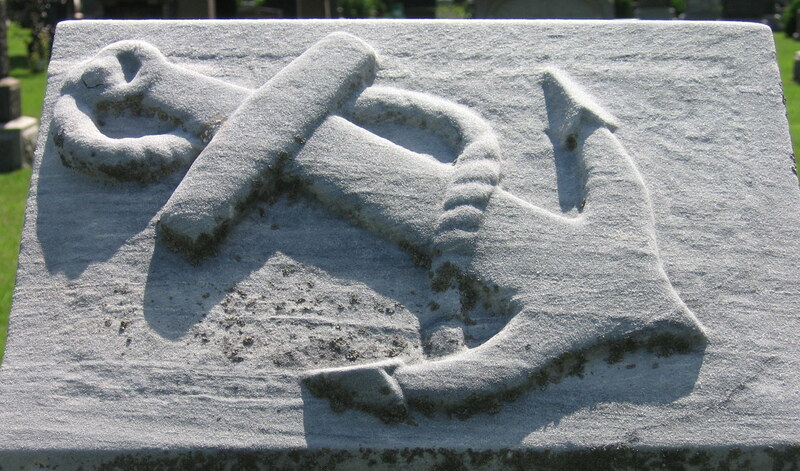 A woman holding an anchor represents hope. 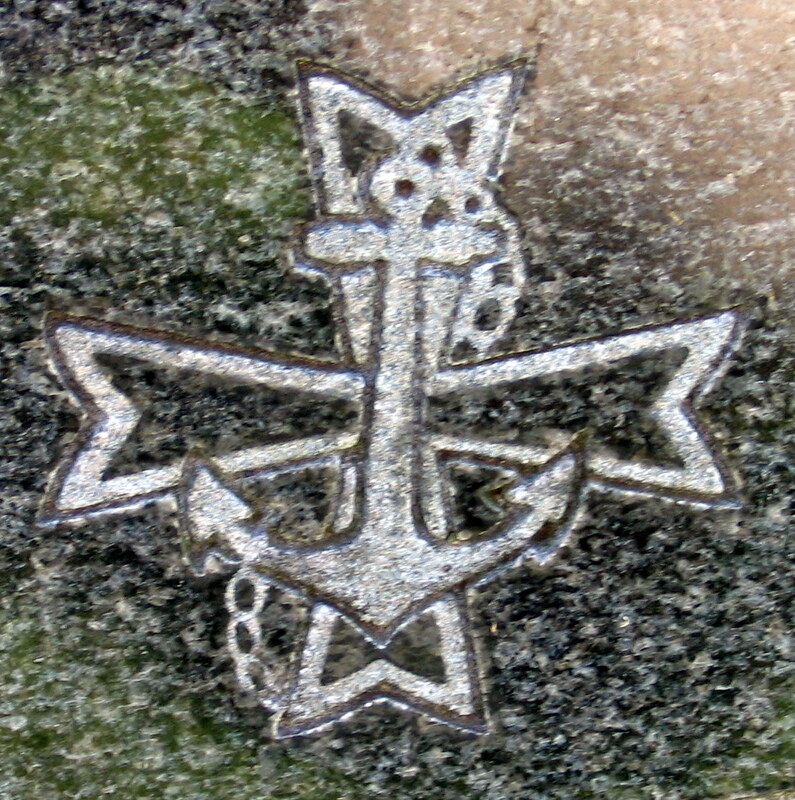 A cross with an anchor is an Early Christian symbol referring to Christ as “hope we have as an anchor of the soul, both sincere and steadfast” (Hebrews 6:19). 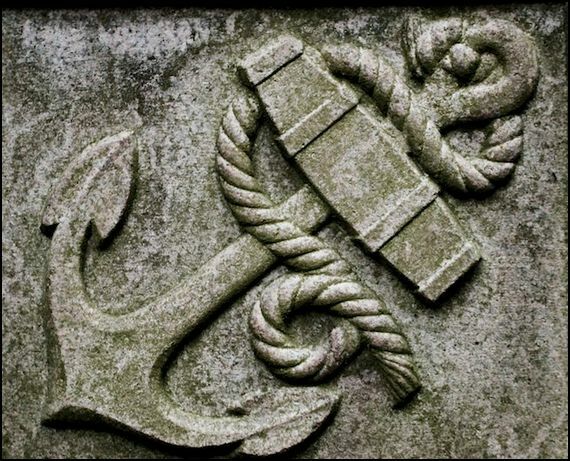 When the top part of an anchor is in the shape of a cross, it symbolizes Christ as the sure hope for our lives – something strong and secure amid the stormy seas of life.